Last year it was Nutter Butter Turkeys; this year we made Nutter Butter Snowmen! 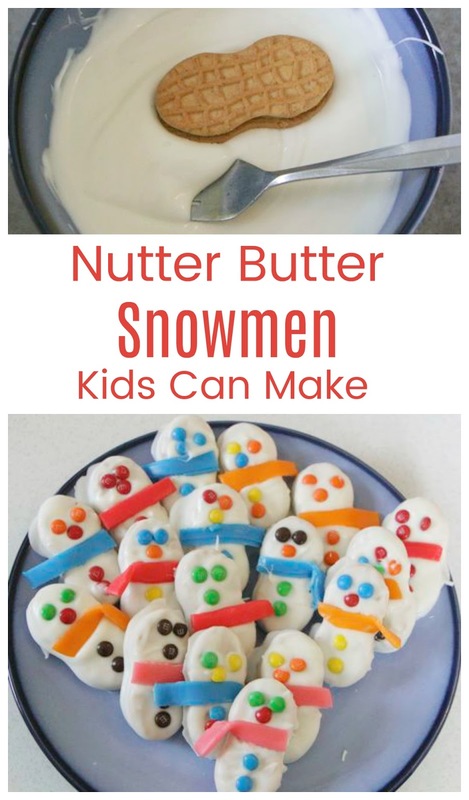 Actually I had intended on making these last winter, even bought the Nutter Butters, and never got around to it. 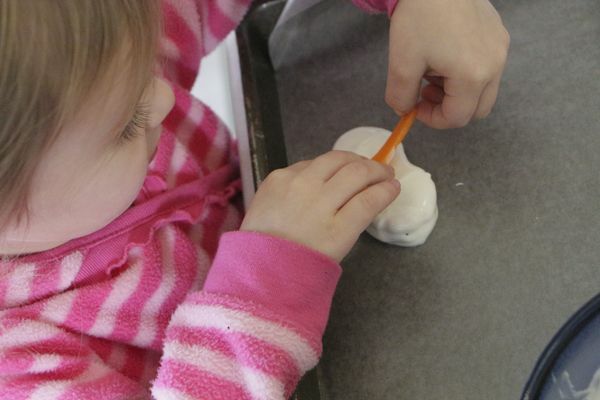 These are super easy, easier then the turkey, and the girls were ecstatic to help. I started by preparing my Airheads to be scarves. I cut them in thirds lengthwise then in half. Then you melt your candy melts (or whatever you chose to use). 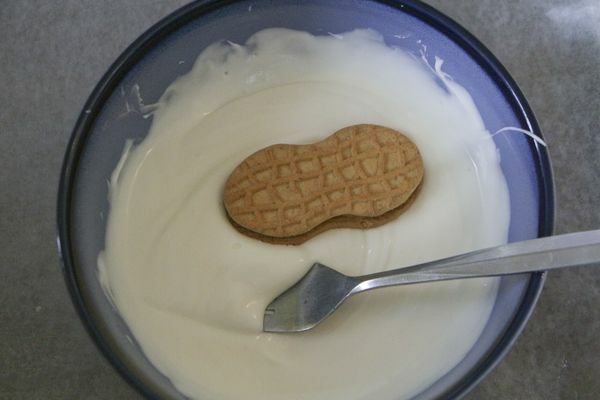 If you use almond bark or chocolate chips you may need to add a little oil to it, so it will melt smoother. After it is melted, you dip you Nutter Butters. Lay them on a waked paper lined baking sheet, and add your scarves, eyes, noses, and buttons. The girls also enjoyed licking the chocolate off their fingers when they finished this step. The girls liked to leave their scarves blowing in the wind. I folded mine down a little. 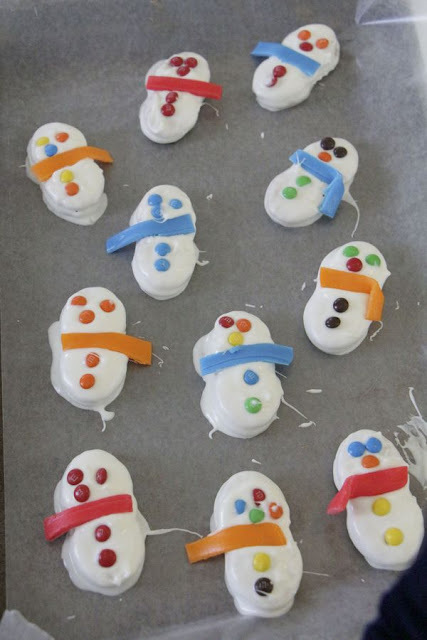 Once they were decorated I stuck them in the freezer to harden a few minutes. 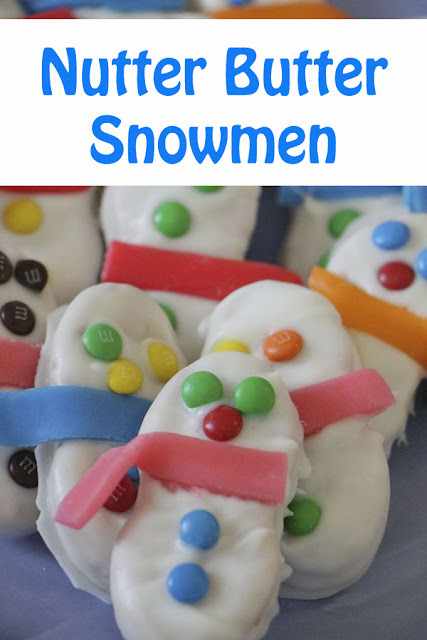 Yummy Snowmen to eat or share!